Did you pay attention in physics class at school? Now we will find out. 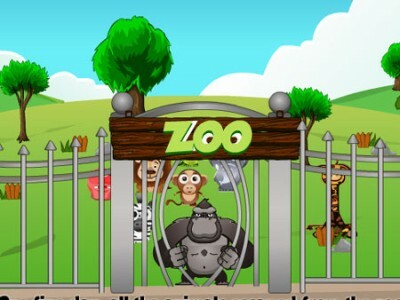 Animals have escaped from the zoo and you have to help the zookeepers find them and get them back. Use the cannon and aim the sleep inducing projectiles carefully. Watch out for the time. The game has thirty levels. Have fun!